Let me introduce you to the French brand Polette. 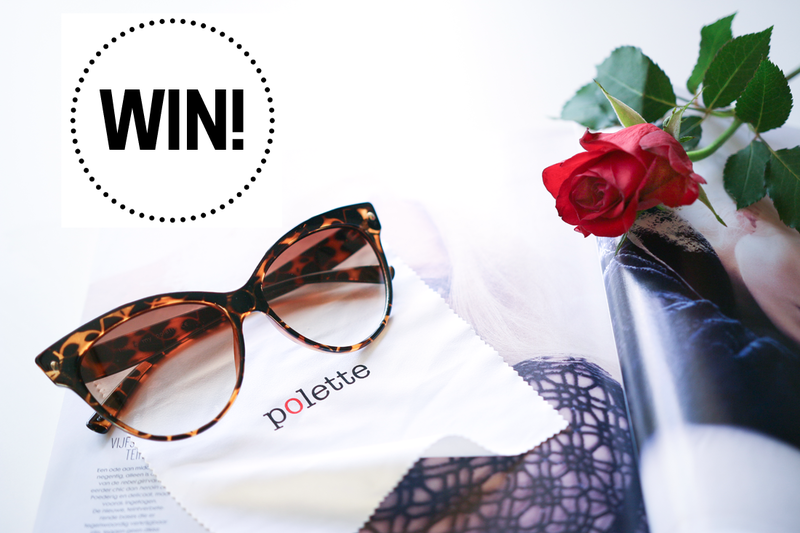 Polette is a company that offers great designs of eyeglasses and sunglasses. Not only is it a fresh and fashionable brand, they also offer great quality and low prices. The first website of Polette was launched in 2011 with a clear vision: No more expensive eyeglasses. break up the chain of intermediates and offer, using the internet, a massive selection of frames and lenses provided by own factories. And massive it is, Polette offers more than 900 designs! From all the great sunglasses I chose this cool cat eye design. You feel immediately that the glasses are made of good quality material, the fitting is great. This is definitely a brand to watch. 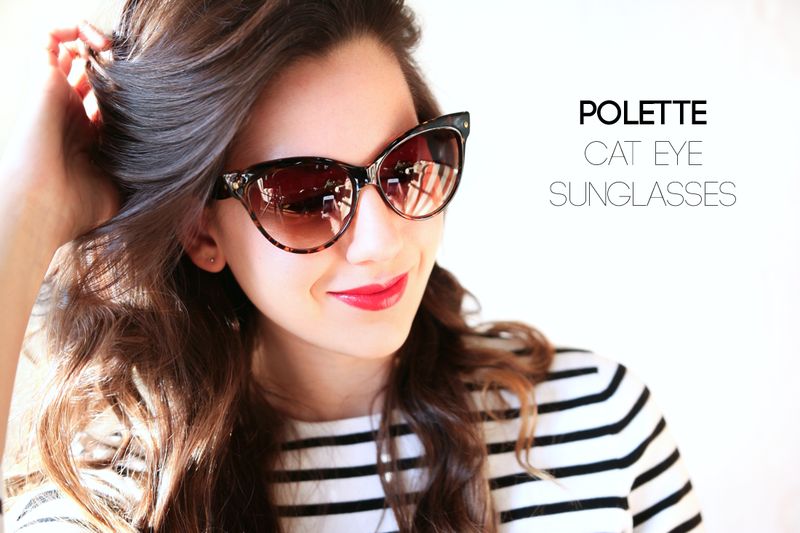 And.. in collaboration with Polette I can offer you a pair of cat eye glasses too! The only thing you have to do is Follow MIXT fashion & lifestyle on facebook and leave a message with your name and email, here or on facebook. The first of January I will announce the winner. You picked a great pair of sunglasses out of those 900! Wat een mooie bril. Ik doe zeker mee! Wauw die bril is echt leuk! Fingers crossed! Love the cat eye style! 9 januari vlieg ik naar Curacao, wat natuurlijk een feestje opzich is. Deze zonnebril zou daar zeker een mooie aanwinst zijn ;-)! Ik wil graag ook meedoen, die zonnebril is werkelijk prachtig! De zonnenbril staat je prachtig, en ik doe dan ook graag mee! Op facebook ben ik Cheyenne Goe, en ik ben bereikbaar via info@cheyennebeauty.be. Wauw echt een héél prachtige zonnebril! Ben er meteen verliefd op en doe dan ook graag mee met deze winactie. Wat een gave bril en hij staat jou prachtig. Ik doe mee! cat eye sunglasses are charaterised by rounded frames, it's shapes got popular in 1950 to 1960's. now day's Cat eye shape spectacle frames are easily available online in India. mailmylens provide online collection of best cat eye glasses frames for women in india. Very classy and elegant indeed! Even I have some awesome collection of Branded Sunglasses..